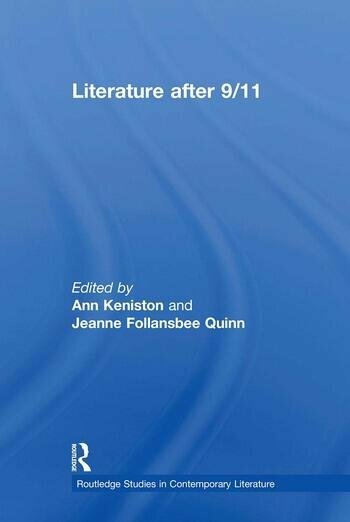 Drawing on trauma theory, genre theory, political theory, and theories of postmodernity, space, and temporality, Literature After 9/11 suggests ways that these often distinct discourses can be recombined and set into dialogue with one another as it explores 9/11’s effects on literature and literature’s attempts to convey 9/11. Ann Keniston is an assistant professor of English at the University of Nevada-Reno, and is the author of Overheard Voices: Address and Subjectivity in Postmodern American Poetry (Routledge 2006), and a poetry collection, The Caution of Human Gestures (David Robert, 2005). Jeanne Follansbee Quinn is director of studies for the Program in History and Literature at Harvard University and has published essays on James Agee and Walker Evans, Richard Wright and American pragmatism. She is completing a book on anti-fascist aesthetics in the United States during the 1930s, Democratic Aesthetics: Popular Front Anti-Fascism.